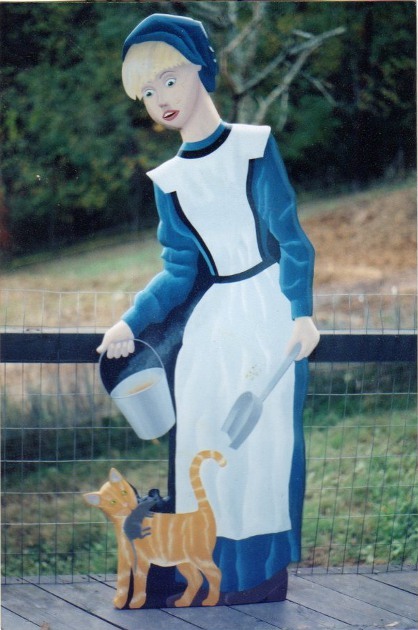 Over the years, I've been asked to do some unusual projects, here are a few of them. A client told me that in the old West, there were traveling artists who would trade their services for meals, rooms, and so on. Sometimes the work was done directly on a wooden floor. 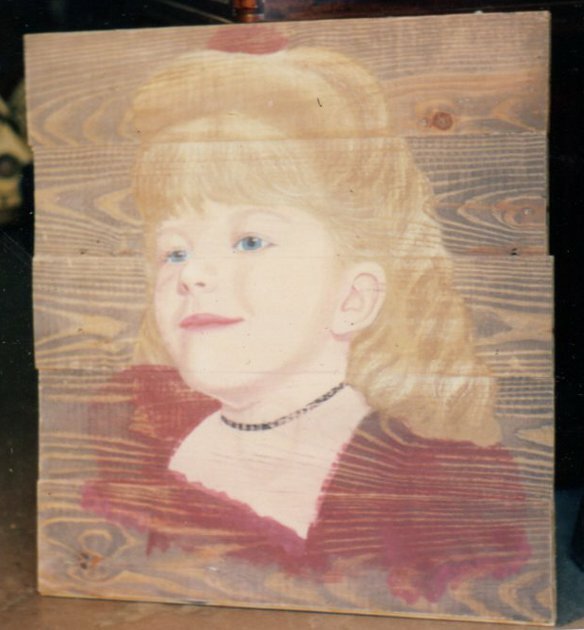 This is a portrait of the client's niece on tongue and groove pine boards. I met a shoemaker at a theme park; we agreed on a trade: he would make me a pair of brogans in exchange for a "dummy board". My research has turned up no clear reason that dummy boards were made; some say as a way for middle class homes to have the appearance of a servant, others say as a way to cover the fireplace opening in the off season. At any rate, I thought it would be appropriate to make it from poplar wood, with oil based paint. He didn't specify a theme, just to "surprise me". Often the dummy boards were humorous, so I went that route. Dummy boardThe one below is about life size, but I wouldn't exactly call it a dummy board. It's a promotional piece I plan to use occasionally in front of a piano shop. 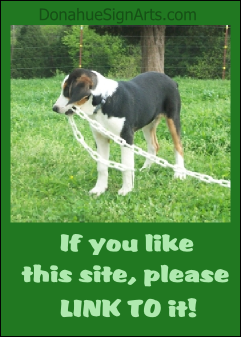 It's made from a used piece of Luan we had setting around. If I was making a real dummy board, I'd use poplar boards put together, or at least pine.